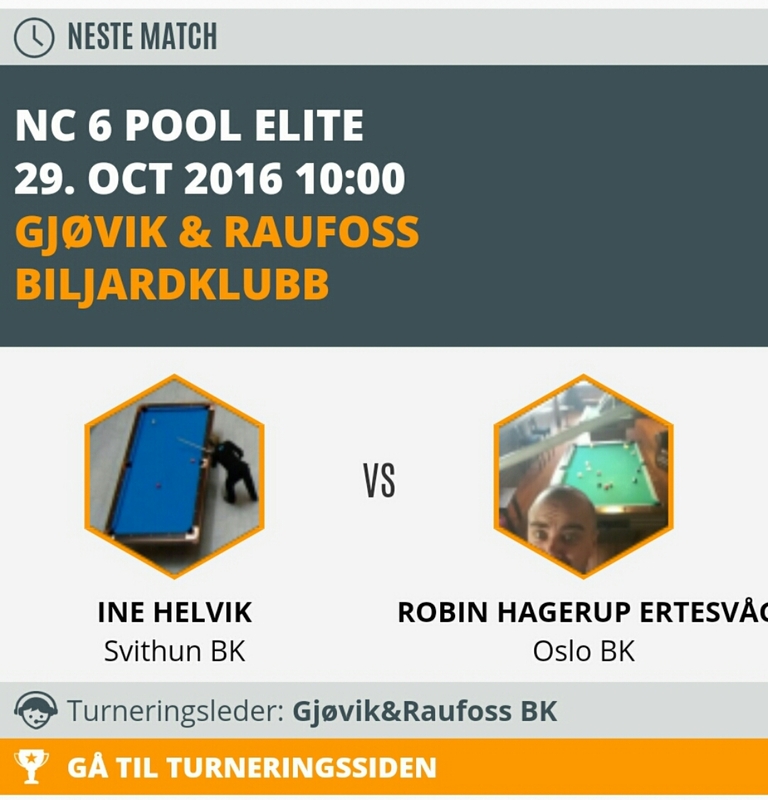 On my way to Gjøvik & Raufoss BK to play ranking tournament 6 out of 7 in the Norwegian Elite. This time we play 10-ball and we are 22 entrants. My first match is at 10:00 tomorrow morning against Robin Ertesvåg. Wish me luck and thanks for reading !